Biofuels are a subject that has triggered sharply polarized views among policy-makers and the public. Some characterize them as a panacea: a central technology to combat climate change. Others criticize them: as a diversion from the tough action they say is needed to mitigate climate; or as a threat to food security. And others criticize them as uneconomic and financially wasteful. In fact, biofuels comprise a wide spectrum of chemicals from conventional bio-ethanol to bio-methane to advanced biodiesel fuels and beyond. Each has its feedstocks and distinctly different production processes. Biofuels are not all equal in their potential impact on the environment, their economics and their potential to decrease the climate footprint of energy production. This lecture will summarize key issues associated with different biofuels and will concentrate on the production of bio-methane from waste products generated by an advanced economy such as that of the US. The lecture will discuss the potential of bio-methane as a transportation fuel and the technological issues and the market entry barriers that bear on its adoption as a major transportation fuel. JOHN G. INGERSOLL is the immediate past President of the Philosophical Society of Washington. He is the founder and president of EcoCorp, a company engaged in developing large-scale biomethane fuel production capacity, domestically and internationally. Before establishing EcoCorp, Mr. Ingersoll held senior technical and management positions in academia at UC Berkeley and USC, in government, with the US Navy and the State Department, and in private industry at Hughes Aircraft and General Motors. Mr. Ingersoll has worked since the early 1980s in the development and implementation of energy efficiency and renewable energy both in the built environment and in transportation, including work on indoor air quality, energy efficiency in buildings, electrochemical energy storage systems, advanced systems for electric, hybrid and natural gas vehicles, and renewable energy production. Mr. Ingersoll earned a BS in Electrical Engineering from Syracuse University, a PhD in Physics from UC Berkeley, and an executive MBA from UCLA. 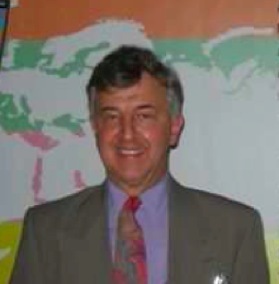 He is author or co-author of four books on energy and of more than one hundred papers and reports. He has received numerous awards for work on sustainable energy utilization and environmental design. President Larry Millstein called the 2,327th meeting to order at 8:21pm January 24, 2014 in the Powell Auditorium of the Cosmos Club. Mr. Millstein announced the order of business and read several historical excerpts from the first Bulletin of the Society. The minutes of the 2,326th meeting were read and approved. Mr. Millstein then introduced the speaker, Mr. John Ingersoll of EcoCorp. Mr. Ingersoll spoke on "Bio Methane - Renewable Transportation Fuel." Mr. Ingersoll began by noting that road vehicles utilizing gasoline and diesel fuel account for nearly all of the United States energy consumption in the transportation sector, which itself accounts for nearly one fifth of worldwide energy consumption. He explained that the fuel supply for road transportation is therefore effectively dependent on imported oil, which incurs significant economic and political costs. He believes that domestic production of biofuels represents a significant opportunity to address this dependence and expand a valuable sustainable energy source for the future. Mr. Ingersoll explained that biofuels are derived from biomass, which can include organic wastes. Production of biofuels usually occurs through a thermochemical or biological conversion process from biomass, he said. 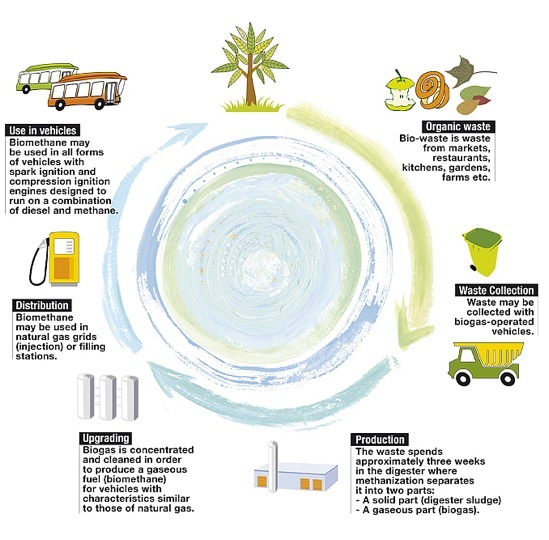 A key feature of biofuels is the use of waste products, recasting those products as new resources with economic value. The majority of available waste resources are wet, having a water content of more than 40% by weight, which implies that biological conversion processes offer the most efficient and economically viable conversion of waste resources to fuel sources and beneficial byproducts, he said. Mr. Ingersoll then discussed biomethane, produced using an anaerobic digestion process with three distinct steps: Hydrolysis, acetogenesis, and methanogenesis. A biogas producing facility can utilize a range of waste resources, producing clean-burning methane using commercially viable technology, he said. He discussed the features and process of a typical biogas facility and showcased several prototype facilities from Sweden and Germany before focusing on a small, promising test facility in Maryland. Mr. Ingersoll concluded by discussing how the development of biofuels would support American energy independence while creating a valuable new domestic resource. He explained that biomethane in particular has the potential to displace liquid fuels used for road transportation, vastly reducing CO2 emissions and other pollution created by existing gasoline and diesel engines. He believes that a biomethane production economy could greatly reduce the need to import oil, thereby reducing defense expenditures, create millions of jobs across multiple sectors, and generate massive economic growth. With that, he closed his talk and Mr. Millstein invited questions. Someone wondered how to increase the fuel efficiency of internal combustion engines. Mr. Ingersoll explained that improvements can be made by reducing vehicle weight, such as by using lighter materials, by optimizing vehicle aerodynamics, and by making use of hybrid electric engines. After the question and answer period, Mr. Millstein thanked the speaker, made the usual housekeeping announcements, and invited guests to apply for membership. Mr. Millstein thanked Member at Large Nerine Clemenzi and Robert Clemenzi for their service to the society. At 10:10pm, President Larry Millstein adjourned the 2,327th meeting to the social hour. ← What is a Gene?